Roof repairs and replacements can be costly and this cost increases when you choose the wrong roofer. When looking at roofers, you need to choose one that is properly equipped to handle the repairs or replacement that you want to be done. To ensure that you choose the right roofer, you need to work through a number of steps. The first step you need to take when looking at roofers is to consider the local ones first. While national roofing companies will often seem better, a local roofer will have local knowledge that can be more helpful. The local roofer will know about the styles of roofing which are used in the area and the suppliers that service the location. 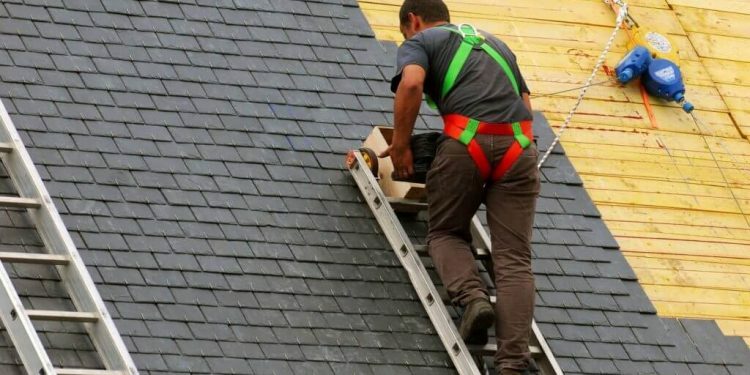 Of course, you will need to be careful when you look at the local roofers. You should avoid any roofers that cold call at your door after a storm. These roofers are generally not the most reputable and will often vanish before all of the work has been completed. It is recommended that you look for a specialist roofer. A specialist roofer will have more experience with the project that you have or the type of roof that you have. This is particularly important if you have a heritage roof or live in a listed building. These roofs and buildings need to be maintained in a certain manner with certain materials and the roofer needs to be aware of this. If you are having your roof replaced, you will want a roofer that has experience doing this. There is no point in hiring a roofer that specialises in repairs if you need the roof replaced. Additionally, there is no point in getting a roofer that specialises in metal roofing if you want asphalt shingles. Any reputable roofer will provide you with a free consultation and quote. If you are being charged for this, you might want to reconsider using the roofer. The quote provided should be in writing and be as detailed as possible. You should also never be placed under pressure to make a quick decision. The quality of their service when you first contact the roofer is very important. This will be a benchmark for how they treat you once you have hired them. If the roofer does not answer communication or turns up late, you might want to reconsider using them. This is a sign that they are not reliable and they may not be very trustworthy. Repairing and replacing a roof will cost a lot and you might be tempted to take the cheapest quote. However, you should not be swayed by the price alone. There are a lot of unscrupulous roofers that use a low cost to hook you and then leave you with a subpar roof or vanish before the work is done. When looking at the price, you need to carefully consider why one quote is much lower and whether or not the pricing is actually sustainable.